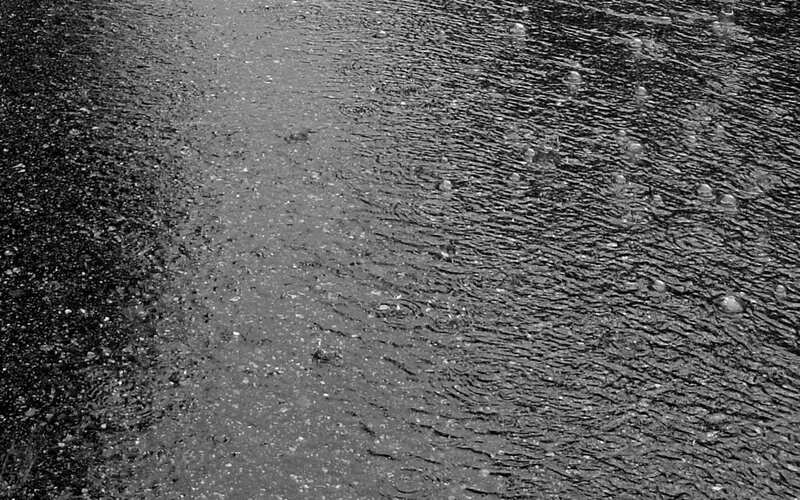 The rain has more rhythm in its descent from heaven than I will ever have in my body. The sound of it keeps me asleep when it’s steady and wakes me up as its pace quickens. Rain always represented excitement to me. Imagine growing up in a place where rain is the most extreme weather possible. As a child I discovered that rain cleanses the flesh and the soil. Rain symbolizes the end of one year and the beginning of the next. Kisses in the rain are more special, dinner in the rain is more meaningful, a movie in the rain is more intimate. I love to go to my favorite creamery and eat ice cream in the rain, for hot chocolate on such a day would be too cliché. Ice cream taste sweet but the rain is sweeter. I’m enamored with the concept of millions of people being wet at the same time. At rainy day recess we used to sneak outside and play anyway. We would jump in puddles and make a real mess of it. As an adult I have never regularly used an umbrella. I don’t like the idea of something coming in between me and god. I will receive every blessing that is sent down and I will let it wash over me. Maybe the rain will make me better. Maybe it will make me less fearful and more consistent. Perhaps it will give me a vision so I can see what I need to do to become whole once more.